Henri Nouwen writes of a woman whose husband died suddenly, leaving her to raise two young children by herself. She kept her children away from the funeral, as they were afraid of cemeteries, but sometime later, she invited Nouwen to visit the grave with her and invited the children to come along. When they came to the grave, they sat down around the tombstone. At this time of year, we think of the many details we are given about the death of Jesus on the cross. The gruesome account is related to us so that we understand the price that was paid to redeem us from our sin. But how thankful we are for the truth that overcomes the chill of the grave, in that Jesus rose from the dead to enable us to share in that power of the resurrection. As our church has been hit hard in these past few months with tragedy, death and loss, let us cling with all we have to the reality of the resurrection, and the knowledge that through our faith in Jesus, that death has lost its sting, and all that we have lost pales in comparison to what we have gained through our relationship with Christ. We will have a special communion service on Maundy Thursday, April 18 at 7:00 p.m. Come downstairs to Fellowship Hall for our informal, but solemn time of commemorating the Last Supper Jesus shared with His disciples. The church sanctuary will be open all day on Good Friday for anyone who would like to come to pray. There will be a self-directed devotional available to help you reflect on the crucifixion of Christ, and what that means to us as Christians. Our community egg hunt will again be on Palm Sunday this year and is open to children up to 6th grade. The hunt will begin at 1:00 p.m. after a time of devotions with the children. Dave Chambers will be there to take photographs for families. Church families are invited to stay after church for a lunch that will be served before the hunt. Please have your children bring their own baskets, if possible. We plan to have a special spring cleaning day for our church facility. The event will give us all an opportunity to pitch in and really give our facility a thorough cleaning. We will be open for cleaning from 10am until 2pm. Come when you can, and spend as much time as you can afford within that time period. to be a fun time together making our church look better. It was great to see everyone at our March edition of Messy Church, also wonderful meeting new families who came to join us. People of all ages are getting together once a month for relaxed, activities, good conversation, and a meal together. It offers one-and-a-half hours of the most relaxed, creative, and Christ-centered fun you can imagine. Next Messy Church Tuesday, April 9, 2019. Theme: Easter (Jesus Died and Rises Again) as we celebrate the good news of Easter! Nothing can ever separate us from the love of God – not even death on a cross. We will enjoy Easter crafts and activities along with Celebration worship time. Messy Church is free and open to anyone! Come and learn how God can help you change your life! Wow! It’s time for VBS again!!! At least, it’s time to get ready for VBS. This year’s VBS theme is “In the Wild.” The week of July 14 – 19, save the date! During VBS, we will zoom in and focus on AMAZING ENCOUNTERS WITH JESUS using our theme verse John 20:31. VBS will be filled with Bible stories, music, games, tasty snacks, crafts, crazy fun and activities that will have lasting impact on the kids in our community and their families. Registration will be online in June. We are preparing early and need your help in two majorly important ways! Pray for the work of God’s Spirit in the lives of the children who will participate. Pray for God’s protection over our property and activities. Pray about where God may want you to help us teach and reach the children of our Church and community this year. Stay tuned for registration and volunteer information in upcoming bulletins, newsletters, flyers, etc. Members are asked to attend and everyone else is invited to attend our quarterly meeting on Sunday, April 28, following the morning worship service. We closed out February with a glow night theme. The fellowship hall was a glow it black lights, glow sticks, balloons, games, necklaces set for clubbers to have lots of glowing fun. March started off with the opening of the Awana store, clubbers have been working hard completing sections and units eagerly awaited the opening of the store door to shop, spend, or save those hard-earned points, on what the store shelves held for them. Our Club has been collecting nickels & dimes on the 2nd week of each month this Club year and raised $130 that we presented to our Missionary Steve Shenk at the race. Incredible job clubbers and leaders! Friday, March 29 the TnT clubbers (grades 3 – 6th) busted in to the Church ready to have a lock-in and maximize the time with food, games, a thought-provoking lesson, and much Fun. Thank you to all who stayed up late and help this event to kick off with great fun. We ask for continued positive thoughts, prayers and support for our dedicated staff and for the Great kids who attend each week. The Awana Grand Prix Race Day this year was Wednesday, March 21. The Grand Prix was exciting and a lot of fun! Thank you, leaders and volunteers it was a great experience, for our Clubbers and families! See you all next year! AWANA meets every Wednesday evening at 6:05 pm. We have activities for 3 year old through High School, September through May. Come and join in the fun. S. R. V. (SOUL REVOLUTION) is for 7th grade through High School. They meet every Sunday evening at 6:30 pm in the youth room downstairs across from the kitchen. This is for adults of all ages. Whether you have known Jesus for many years, or only a few months this could be a group for you. We will be meeting twice a month on the second and fourth Thursday at 7pm, at the home of Simon and Nancy Warwick. Meet at 12:30 p.m. the first Friday of the month. The senior members of the church and friends meet at different restaurants for a dine-out. The next one is on April 5. We will meet at Steak & Shake in Miamisburg. For more info, contact Shirley Fall @ 254-2484. WOMEN’S BREAKFAST 2nd Saturday Join us for a Women’s breakfast with great food, a devotional time and good Christian fellowship with other ladies of the church. Team meetings and Church Council meetings are held the third Tuesday of the month. Team Meetings will start @ 7 pm and the Church Council Meeting @ 8 pm. For our April 6, men's breakfast, we will have an abbreviated version of our mini-retreat, and conclude our session of “Uprising,” with Erwin McManus. Breakfast is at 8:00 a.m. and our plan is to wrap things up as close as we can to 10:00 a.m., so that the men can participate in our church work day on April 6. For 111 days. Charlie Engle, Ray Zahab, and Kevin Lin ran across the Sahara Desert. They touched the waters at Senegal and then made their way through Mauritania, Mali, Niger, Libya, and Egypt to touch the waters of the Red Sea. Along the way, the trio faced blazing afternoons of 100-plus degrees; jarring, freezing nights; sandstorms; tendinitis; violent sickness; aches, pains, and blisters. But the biggest challenge they faced was finding water. Finding it in its purest, cleanest form gets to be a bit of a chore while in the middle of nowhere. May we all be inspired to run the Christian marathon with faithfulness and perseverance. The men of the church meet the first Saturday of each month for a time in God’s word and fellowship with other Christian men of the church. Mini retreat this month until 11::00 am. 6th-12th Graders: Don’t miss CedarMania on March 23! We’ll be challenged to grow spiritually, experience fun breakout sessions, a meaningful message, crazy, games, lunch, not to mention getting to connect with Cedarville students and youth from other churches around the country! We hope you will join in! All 6th-12th graders are welcome! RSVP by Wednesday, March 13. See Mr Tere or Miss Michelle for serious details. had at AWANA so far this year! Our goal is for all of our clubbers to hide God’s word in their hearts and grow closer to Jesus as a result of all that we do on a weekly basis. across the street by the Outreach team. • Feb. 20, We had fun with, P& P night where we wore Pink, and munched on snacks, while the Trek & Journey clubs zipped off to the mall for food and fun. • Feb. 22, the Sparks (grades k – 2) came to experience Sparks late Night out party, a night full of age appropriate fellowship, games and activities geared for them to have lots of fun. Thank- you to all Leaders, and Lit’s, that helped to make this event such a great success! set-up or take-down, please let Michelle or Tere know. faith, and much, much more. flyers, bulletins, and emails for further details. Thank-you for your continued support through encouragement, and most important prayers for our clubbers and entire leadership team. Your Prayers are so very important and crucial to this ministry! Racers come early to weigh and register your car for the race. Everyone is welcome to attend the Grand Prix—even if not participating. Watching the event is part of the fun! The second Tuesday of the month 5:30 – 7:00 pm, our Messy friends enjoy crafts, games, a celebration time, dinner together and more. We’ve been ministering to folks of all ages and stages who are enjoying sharing the messiness of their own lives and growing in their faith in a space that works for them during Messy Church. Messy Church is about inviting ordinary people to come just as they are, recognizing God is at work in the lives of ordinary people who live messy lives and ministering to them in a fun and creative way. Come and join us for our March Messy Church session 12 March @ 5:30 pm. Try worship in a different way - messy and creative. There will be crafts, some singing and worship, and a good meal. All are welcome. Children under age 16 must be accompanied by an adult! Your gifts to the America for Christ Offering impact thousands - through ministries with marginalized children, mission trips that transform lives torn asunder by hurricanes, resources that cultivate Christian leaders, chaplains who bring comfort to hospitals and nursing homes, and much more. Let us not become weary in doing good. Join us as we gather to worship the Lord together as the united Body of Christ. There will be focused times of prayer for our city and praising the Lord for everything He is doing in Riverside. Vacation Bible School (VBS) 2019 is fast approaching! Now is the time to make plans to attend, save the date and put on your calendar. Sunday, July 14- Friday, July 19 6pm-8:30pm. Kids Age 3 - Completion of 6th Grade will experience a life-changing week filled with high energy games, incredible music, exciting crafts, and yummy snacks as they learn more about God's Word. VBS 2019 takes them on a wild adventure—with elephants and egrets, polar bears and penguins, cockatoos and crocodiles. Registration and Wild Encounters are on the way! Stay tuned for further details… Hope to see you there. Don't miss the chance to stay up late at the Church! All Awana T&T clubbers (grades 3rd-6th) are invited to our Lock-In on March 29th-30th. Check with your parents, clear your schedules and gather your gear and come join us for an overnight adventure full of worship, fun, games, fellowship, and maybe some ZZzzz’s. Sign up by Wednesday, March 27th so we know how many to plan for. Permission forms are required, pick them up from Mr. Tere. See ya there! Our family makes out Christmas lists each year, which gives suggestions and ideas for gifts that we give to each other. The lists make the process of gift-giving much easier because we can know that the gifts we choose to buy and give are things that are truly wanted and needed by the recipient. With all the materialism of the season, we want to do our best to give gifts that would be truly appreciated. Mend a quarrel, dismiss suspicion, tell someone, "I love you." Give something away anonymously. Forgive someone who has treated you wrong. Turn away wrath with a soft answer. Visit someone in a nursing home. Apologize if you were wrong. Be especially kind to someone with whom you work. Give as God gave to you in Christ, without obligation, or announcement, or reservation, or hypocrisy. May this season of gift giving be special for you as you not only show love to others in a material way, but also in ways that may not cost any money, but are still sacrificial. Something tells me those are the gifts that will never be forgotten. AWANA meets every Wednesday evening at 6:05 pm. We have activities for 3 year olds through High School, September through May. Come and join in the fun. Meet at 12:30 p.m. the first Friday of the month. The senior members of the church and friends meet at different restaurants for a dine-out. The next one is on December 7. We will meet @ Longhorn in Beavercreek. For more info, contact Shirley Fall @ 254-2484. There will be no Women’s Breakfast in December due to other activities at that time. Join us Tuesday, December 11, at 5:30 pm for Messy Church – a relaxed and informal church! *Note: If you are under 16, you will need to bring an adult with you. For questions, call the church office at (937) 252-5311 or email us at Messy.church@spinningroadbaptist.org. Make plans now to attend our Community Christmas Cantata, “The King Is Here!” The cantata will be Sunday evening, December 16, starting at 7:00 p.m. Invite a neighbor or family member! Our AWANA year is cruising along at full speed! New clubbers are still joining, Praise God for this exciting weekly outreach program! In November giving and loving others was a part of what our club did. We donated many boxes to Operation Christmas child, donated enough nonperishable food items to fill up the foyer stairs to help re-stock our Church food pantry for needy families for this holiday season. Our TnT Trek and Journey clubs assisted the Mission team in assembling 25 baskets for needy families, Whew, we were busy. Way to go SRBC clubbers, families and staff! The 7 & 14th clubbers came dressed in Red, White, & Blue in honor of our Veterans who so faithfully serve our country and others to keep the freedoms that we enjoy daily! We hope that you had a safe and Happy Thanksgiving and didn’t eat too much. November 28, the 1st store opens, where clubbers can shop till, they drop and/or save their hard-earned points they’ve receive as a result of their hard work in club each week. Sunday December 9 @ 7 pm, our Children ages pre-k – 6th grades will present a Christmas play. All are welcome to join us for this exciting presentation! We will wrap up this year’s club for the holidays, on December 12th with parties, and our Christmas shop. We would like to wish all families a Very Merry Christmas and a Very Blessed New Year! Club will resume Wednesday January 2, 2019 at 6:05 p.m. PLEASE HELP!!!!! Our food pantry cupboards are bare and we will be handing out Christmas baskets in the approximately 3 weeks. We provide an entire meal for each family as well as a few extras like paper towels and toilet paper and enough for a couple of extra meals. These are some of the things our food pantry is in need of: flour, sugar, brown sugar, peanut butter, instant potatoes, stuffing mix, Town House/Ritz crackers, sweet potatoes, gravy, spaghetti, dry beans, cranberries, Jell-O, pasta, cans or packet of chicken, tuna, or spam, toilet paper, paper towels, Pork-N-Beans, Raman noodles, spaghetti sauce, canned pumpkin, cereal, Jiffy Mix, and Hamburger Helper. As always your donations are gratefully appreciated and make this ministry possible Questions contact Barb Chambers @ 238-3949 or June McLean @ 233-8555. December is the month for Retired Ministers and Missionaries Offering (RMMO). Your generous donations to RMMO are a way of saying “thank you” to those who have dedicated their lives to the Lord’s service. Envelopes for the offering can be found in the pew racks. Tuesday Women’s Bible Study will have their last session of the year on December 4 and will resume on January 8 @ 9:30 pm. We’ll again be meeting on New Year’s Eve (8:00 PM, Monday, Dec 31) to unhang the greens, play some games, have a short time of reflection, and watch the ball drop in Times Square. Please bring table games, such as Uno or Trivial Pursuit, and snacks to share. Also, we will have our ever-popular White Elephant Gift Exchange again this year. Please bring as many gifts as you have members of your family attending, and maybe one or two extra to cover other people who want to take part but forget to bring something to exchange. Any type gift is OK, but gag gifts are the best, like an outrageous vest, or something like that. Sunday December 2, at 6 pm is the annual Christmas concert at Cedarville University. There will be no evening service, so that those who would like to attend the concert may do so. A carpool will be arranged if you would like a ride. This year we will be Christmas Caroling to the elderly and shut-ins. Since there are no evening activities on Wednesday, December 19, we will meet at the church at 6:00 pm and caravan to different places to bring the love and joy of Christmas to those who are unable to come to church, but are still so much a part of our church family. Bring scarves, hats and voices and come join us! This year we will not have an actual Mitten Tree up. We are doing this outreach and we still need, hats, gloves and mitten’s just the same. There are two baskets under the Connect table with Mitten Tree signs on them. Please put the items in those baskets. Please remember, these items are needed. They will be given to the Dayton Christian Center and to the Mad River Local School System. Handmade or purchased items are all welcome. and travelers to witness the events leading up to the birth of Jesus. From traditional Christmas carols, to a few funny surprises, it is sure to be a blessing. Light refreshments to follow. “Guilty Plea Sets Inmate Free” was the headline of a story in the Chicago Tribune about a man who was imprisoned eight years before cutting a deal with the state’s attorney so that the time he served satisfied his sentence. But if we think about it, that headline describes all of us who are Christians. We, too, are guilty, but have been set free. Our freedom in Christ is not in a plea of innocence, but in an admission of guilt. Our stories may be different, but the headline “Guilty Plea Sets Inmate Free” fits us perfectly. Our guilty plea set us free! Happy Thanksgiving! Meet at 12:30 p.m. the first Friday of the month. The senior members of the church and friends meet at different restaurants for a dine-out. The next one is on November 2. We will meet @ Christopher’s Restaurant. For more info, contact Shirley Fall @ 254-2484. 2nd Saturday Join us as we resume Women’s breakfast after the first of the year for great food, a devotional time and good Christian fellowship with other ladies of the church. Team meetings and Church Council meetings are usually held the third Tuesday of the month. Team Meetings will start @ 7 pm and the Church Council Meeting @ 8 pm. Due to our busy holiday schedule, the next Board meetings will follow Messy Church on the second Tuesday of this month, November 13. Join us Tuesday, Nov. 13, at 5:30 pm for Messy Church – a relaxed and informal church! Messy Church is all about welcoming people of all ages to come and have fun together. No one is too young or too old to join in. Expect a chance to be creative, exploring the theme of the day. Then what could be better than to celebrate together! Finally, everyone sits down to share and enjoy a meal. It’s all free and there is something for everyone. Why not come and join us? *Note: If you are under 16, you will need to bring an adult with you. For questions, call the church office at (937) 252-5311 or email us at messy.church@spinningroadbaptist.org. Awana is for children age 2-12th grade. We meet Wednesday nights from 6:05-7:30pm. Wow, now how did it get to be November already? What happened to October? It seems to have almost flown by. October was a busy month in the life of our club. We grew in size from September, met some new friends, welcomed back some old friends, and are having fun learning more about Jesus our Savior. Our Puggles club has doubled in size. They look so cute going off to class to learn who Jesus is and how he loves them, led by Miss Mallorie and Miss Kelly. On Saturday, Oct. 13, 12 of our TnT clubbers and 5 adult leaders attended Junior Jam, an annual event held at Cedarville University for kids in grades 3-6. We had fun and were amazed by speaker Clayton Poland, who encouraged us through combined fun, humor, hilarious stories, encouragement and life-changing truth to focus on the good stuff that leads us to the Cross. On Wednesday the 17th, we had a fire drill called and practiced exiting the building quickly, quietly and safely, before returning to resume club. Rock on, we did it! On Wednesday, Oct. 24, clubbers arrived eager to sport the self-generated hair styles in support of our theme, “Crazy Hair Night.” Clubbers and leaders ushered in a new style of hair care with Crazy Hair Night at club. It was another night of fun and Bible learning complete with prizes and, yes, some interesting hair. November will be dedicated to giving. Clubbers have been asked to fill and bring in shoe boxes for Operation Christmas Child, and will be asked to bring in non-perishable foods to help stock our food pantry to give love and food to the needy in our Church, neighborhood and community for the holidays. There will be NO club on Wednesday, Nov. 21, for all to give Thanks with their families. Club will resume Wednesday, Nov. 28, where we will also open the first Awana store of the year for clubbers to get their first experience with the treasures the store shelves hold! Thank you to all volunteer listeners who are helping our clubbers learn God’s word so they can begin hiding it in their hearts. We ask that you continue to partner with us by praying for everyone involved in club each week, and for future clubbers that will visit our club. Thank you for your continued support in this ministry! Because kids matter to God! SRBC's annual Children's Christmas program is quickly approaching and is scheduled for Sunday, December 9, at 7 pm with refreshments to follow. Please mark your calendars! It is for children pre-K through 6th grade. All children at SRBC are invited to be a part of the 2018 Christmas program, “Evening News Hour.” We are practicing each Sunday morning during the Children’s Church portion of the morning service. It is very important that your child be at as many practices as possible. It is not too late to become part of this program. For questions please contact Colleen Goodman or Tere Sharp. All students (Grades 7-12) are invited to a Bonfire & Lock-In on Friday, November 16th! We will be lighting things up with a bonfire at the residence of Greg & Kelly Bush, where we will spend a few hours before heading back to SRBC for the rest of the night lock-in! Games and more are planned for this great night of fun. Food will be provided. See youth leaders for further details. We are attempting to gear up for our Thanksgiving and Christmas baskets. These are some of the things our food pantry is in need of: flour, sugar, brown sugar, peanut butter, instant potatoes, stuffing mix, Town House/Ritz crackers, sweet potatoes, gravy, spaghetti, dry beans, cranberries, Jello, pasta, cans or packet of chicken, tuna, or spam, toilet paper, paper towel. Your donations are gratefully appreciated! Our annual Harvest Dinner will be on Sunday, November 18, starting at 6:00 pm. Please bring your favorite Thanksgiving style dishes to share with your church family. Turkey and beverages will be provided. This year, instead of a separate Thanksgiving service on Tuesday night, we will have a special time of devotions and sharing as a part of our Harvest Dinner. Place: Bergamo Center- 4400 Shakertown Rd. Meals: Breakfast and lunch on Saturday. Please bring a snack to share for Friday night. See Mary Ann Stemley or Colleen Goodman for more information. Give a wonderful Christmas to a child in another part of the world. Pack a shoebox full of gifts and bring it in to the church no later than November 18. There are a limited number of Operation Christmas Child boxes available, or you can just use a regular shoebox of your own. On Sunday evening, 5:00 PM, Nov 4, 2018, the Dayton Area Baptist Association (DABA) will have its Annual Fall Gathering at our own Spinning Road Baptist Church. This event follows the one at Omega Baptist Church last year, and will basically consist of a dinner at 5:00 PM and an inspirational service at 6:00 PM. We should be finished by about 7:00 PM. If you can’t make all of it, make what you can. Our speaker will be Rev. Mark Click, the new Co-Executive Minister of the American Baptist Churches of Ohio. The dinner will be potluck, with various churches providing the different courses. Spinning Road will provide the meat and bread, so please contact Dave Look, Penny Taylor, or June McLean if you’re willing to contribute. Finally, please sign up on the sheet in the foyer so we can get an idea of how many will be attending. This should be a wonderful evening of fellowship, so please join in. Come help us decorate our church building for Christmas on November 25, starting at 7:00 pm. After we finishing decorating, we sing Christmas carols in the lighted sanctuary and then enjoy some refreshments together downstairs. On November 4, we will have a special business meeting after our morning worship service. The purpose of the meeting will be to vote on approving the proposed 2019 budget and slate of officers that were presented at the quarterly business meeting. Our Messy Church night in August will mark one year since we began this outreach ministry. To celebrate this anniversary, we are going to have a special outdoor event, weather permitting. On August 14, we will meet at 5:30 and proceed with our regular schedule of games, crafts and activities, followed by a brief time of worship, and then have “cook-out” type of meal together. If you have not participated in Messy Church yet, this would be a great time to check it out. Yes, this is intended to be an outreach for those who might not otherwise attend church, but your involvement in this program would be an encouragement and example to those we are trying to reach. If others see that this is important to our church members, they would be much more likely to share that same sense of importance. Messy Church is a great event for the entire family. There are activities for all ages to enjoy. In fact, we do insist that minors be accompanied by adults. Rather than this be seen as a children's ministry where parents can drop off their kids for a while, we want this to be seen as an event for the entire church family. Even if you don't bring any kids with you, there is plenty for you to do, or watch, or enjoy. VOLLEYBALL is at 6:30 pm at the church. For More info, contact Dave Look @ 429-0719. P. I. P. (POWER IN PRAYER) service is held every Sunday evening at 6:00 p.m. in the prayer room at the front of the sanctuary. This is an intimate time of sharing needs and praying for them. High School. They meet every Sunday evening at 6:30 pm in the youth room downstairs across from the kitchen. Meet at 12:30 p.m. the first Friday of the month. The senior members of the church and friends meet at different restaurants for a dine-out. The next one is on August 3, we will meet @ Cheddar’s in Centerville. For more info, contact Shirley Fall @ 254-2484. Scrapbookers meet the second Friday of each month at 7pm for a time of scrapbooking and fellowship. 2nd Saturday Join us August 11 @ 9:00 am for breakfast, devotional time and good Christian fellowship with other ladies of the church. Team meetings and Church Council meetings are held the third Tuesday of the month. Team Meetings will start @ 7 pm and the Church Council Meeting @ 8 pm. The next meeting is August 21. Messy Church is a way of being church for individuals of all ages that involve fun, food and play. This is Church, but not like you’ve ever known before. We meet from 5:30 – 7:00 pm. Hey everybody, our 15th year of AWANA is just around the corner!!! The excitement of a new year of club is just about to get out of hand. Our 2018/2019 club year will begin, Wednesday, September 5, 2018 @ 6:05 pm. We look forward to a wonderful and exciting upcoming club year and expect each child will have fun, make new friends, work hard, and draw closer to God. AWANA thrives on volunteer involvement. Adult and teen helpers are still very much needed so please pray about your family’s participation and involvement in AWANA. @ 7:30 pm. We are saving a seat for you! Meets Sunday @ 6:30 p.m. For youth grades 7-12. For questions see one of the Youth Leadership Team Members, Ken & Jessica Clark. dinner for $2 and more. These programs are in place of Awana during the summer months. Come out and be a part! with an at-risk child in the Mad River School System. If you would like to learn more about the program, there will be various training sessions in the next few weeks. If you would like to apply to be a mentor, please see Pastor Scott for an application. at Way of the Cross Church from 6:00-8:00 p.m.
“Day of Giving Back” is the day of passing out the school supplies that have been collected through the summer to needy families. This will happen on Monday, August 13, at 10:30 a.m. at Shellabarger Park. If you would like to help with the event, please see Pastor Scott. I was asked to speak at the funeral of a man who had helped develop the Boeing 747 aircraft. After the service I spoke with the widow and commented on what a remarkable thing her late husband had done. He worked on a tiny switchbox for more than a decade, yet the Boeing 747 couldn’t have lifted off without this man’s contribution. Often we think our seemingly small efforts aren’t very important. But when the great kingdom of God “lifts off,” we’ll be thrilled to find out that our efforts were essential. DAYTON CHRISTIAN CENTER (DXC) is one of 21 neighborhood action centers that are supported by National Ministries American Baptist Churches, USA since 1921. Our mission work started in 1921 by faithful Christians determined to provide essential and supportive services to individuals and families seeking to better their lives. We have an exceptional year-round child care program in West Dayton and city-wide collaborations with other faith-based agencies enable us to provide high-quality comprehensive programs. There will be no Messy Church on July 10 due to VBS which begins July 15. We will resume in August. At Messy Church, we grow in our relationship with God and with one another through crafts, activities, music, celebration time and more. Then, together we enjoy a shared meal. Children and adults of all ages are welcome so invite the grandparents, your neighbors and friends to this new church community. Children under 16 need to be accompanied by an adult. of children/youth to our programs. Those groups use our grounds to play games, have lesson times, play basketball, football, etc. We want to make sure that everyone is safe in and around the parking lot. Vacation Bible School is fast approaching, and we would love your help! This year’s VBS dates are July 15 to 20th. Our program runs 6pm-9pm. The theme for this year is Game On. One week can be life-changing for you and for the kids you will serve! Everyone changes when they learn about Jesus and share his love! Our VBS program wouldn’t be possible without the gracious help and commitment of our volunteers! Whether you can give a day, or the whole week, we’d love to have you on the team. If you are willing or able to volunteer, please contact Director, Michelle Prince. We are busy gearing up for a fantastic VBS this year, Volunteer meeting will be held Wednesday, July 11 @ 7:30 pm for anyone who wants to help with VBS. The days are hot, schools out. There can be no doubt that summer’s here, and this one’s going to be a blast! In a few weeks, our entire campus will be transformed into the big stadium for Game On VBS. VBS is always one of the most fun and exciting weeks of the year, you will not want to miss out. So invite all your friends and help their parents make VBS a part of their summer!!! Join us July 15-20th for a Game On sports themed VBS Adventure from 6-9pm. This event is free and we hope to see you there. 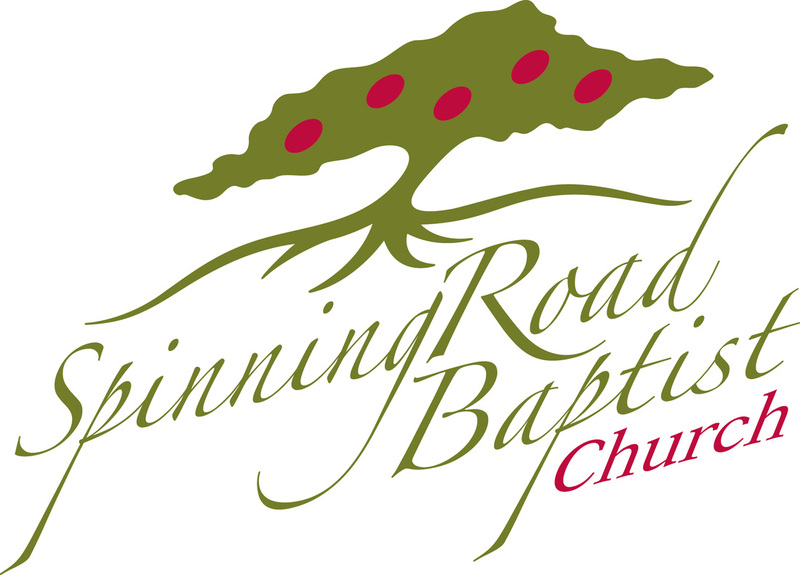 Online registration is ready at www.spinningroadbaptist.org. Wednesdays are exploding with mid-week children's and youth programs offering fun lessons, games, activities, dinner for $2 and more. Our FOOD PANTRY is in need of the following items: Ramen Noodles, Pork-n-Beans, potatoes mixes, flour, sugar, brown sugar, cooking oil, gravy, catchup, mustard, canned fruit, paper towels, laundry soap, cans or pouches, chicken, tuna, salmon, Spam, cereal, spaghetti sauce, toilet paper, paper towels, cake mixes and frosting, and jelly. Your donations are gratefully appreciated as we attempt to meet the needs of those in our community. Questions contact Barb Chambers @ 238-3949 or June McLean @ 233 – 8555. Thank you for giving so generously! Our church bowling league continues on Thursday, at 6:30 p.m. Come out and cheer our bowlers on. They need the Lay’s Stax chips plastic containers. (It needs to be this particular brand of chips and not Pringles because of the stronger plastic containers.) These can be found at Wal-Mart, Kroger and Target. They will need 80-100 of these containers. They also need 80 – 100 20 oz. pop bottles. (Water bottles will not work because is not as strong as the pop bottles.) Any questions please see Evelyn Paige or Michelle Prince. Your generosity is appreciated! You can leave donated items on the bench in the coat room. If you need to have them returned, please mark with your name and a post-it that says "Please return" and we will do our best to take special care of that item. Please be aware that July 4th is a Wednesday, the church offices are closed and there will be no evening services. We hope you take this time to spend with family and friends. Join us July 14 @ 9:00 am for breakfast, devotional time and good Christian fellowship with other ladies of the church. July 24, 2018. Team Meetings will start @ 7 pm and the Church Council Meeting @ 8 pm. Early in our marriage, I gave my wife a terrific anniversary gift. At least I thought it was a great gift. Susan, after all, is a farmer’s daughter and keeps close watch on the weather. I envisioned her delight and nostalgia while tracking our backyard precipitation on her new rain gauge. Susan was not impressed. “A rain gauge for our anniversary?” she asked incredulously. The gauge is now a family joke, a classic example of a gift enjoyed by the giver but not the receiver. One word I hear a lot these days is authentic, as in “We seek authentic worship.” Usually this means we’re trying to create an experience that helps worshipers feel something. There’s nothing wrong with that, but if our focus is only on our experience, we may be giving God a rain gauge. A real gift, real worship, means knowing what’s important to the Receiver. Don't bring God a rain gauge! Bring Him what He wants, your repentance, your devotion, your sacrifice, your sincere praise. TOPS (Take Off Pounds Sensibly) Meetings are at 5:30 pm Mondays. More info, contact Gertrude Prince @ 878-0398. Messy Church is a way of being church for individuals of all ages that involve fun, food and play. June 19, 2018 Team Meetings will start @ 7 pm and the Church Council Meeting @ 8 pm. The men of the church meet the first Saturday of each month for time in God’s word and fellowship with other Christian men of the church. One Great Hour of Sharing is a Christian effort to empower, provide water, supply food., and give relief from disasters. We currently have water projects in over 20 countries and we are feeding the hungry all over the world. Our disaster relief is not just immediate response but long term commitment. We are inspiring and helping men and women to provide for their families. Please join us in supporting this effort by prayer or by a financial contribution. Graduate Sunday will be on June 3. We will be recognizing our graduates from Spinning Road, which are Beatrice Marks from high school and Lauran Bush and Luke Goodman from college. Once a month on a Tuesday from 5:30pm to 7pm, SRBC hosts Messy Church – 1 1/2 hours of fun, games, food and crafts. It's a great time for all the family and friends. Our next Messy Church will be held Tuesday, June 12. Come and join us and get Messy! Messy Church is about having time together to have fun, explore faith, worship God and have a meal. Messy Church aims to involve everyone, and values everyone and invites us to come together, make things together, eat together and celebrate God together. It is called Messy Church because you may get Messy! If you haven’t yet tried Messy Church, you are welcome to join us anytime. You can be involved as much or as little as you like! We welcome visitors as well as members, so give us a try. Hope to see you at our next Messy Church. VACATION BIBLE 2018 "GAME ON"
15 - 20. Each night from 6pm - 9pm kids will enjoy a time of worship, Bible study, crafts, games, music, snacks and more! Kids ages 3 through 6 grade are invited to attend. Age groups are based on the grade level last completed in May 2018. Children must be 3 years old by June 1, 2018 in order to register. Be sure to tell your friends so they can join us, too. We're gonna have lots of FUN! Volunteers needed in many areas of VBS! Come help make a difference in a child's life! Registration will open June 1, 2018 at www.spinningroadbaptist.org. Our church bowling continues on Thursday, at 6:30 p.m. Come and cheer our bowlers on. Atheism may seem intellectual, but it's the epitome of foolishness. It's a worldview that has snuffed out its God-given light. Yet, increasingly, you may encounter atheists in your workplace, your neighborhood, or even your home. Meets Sunday evenings @ 6:30 p.m. For youth grades 7-12. For questions see one of the Youth Leadership Team Members, Ken & Jessica Clark.